Well, I realize that we are heading into summer (which I literally could not be more pumped about), but that means that all of you brides and grooms getting married in winter are in the midst of making all of your decisions! So, I want to share my favourite ideas for beautiful winter wedding decor. One of my favourite "tricks" when designing a winter wedding is using lots of texture - branches, pine boughs, berries, wood, velvet. 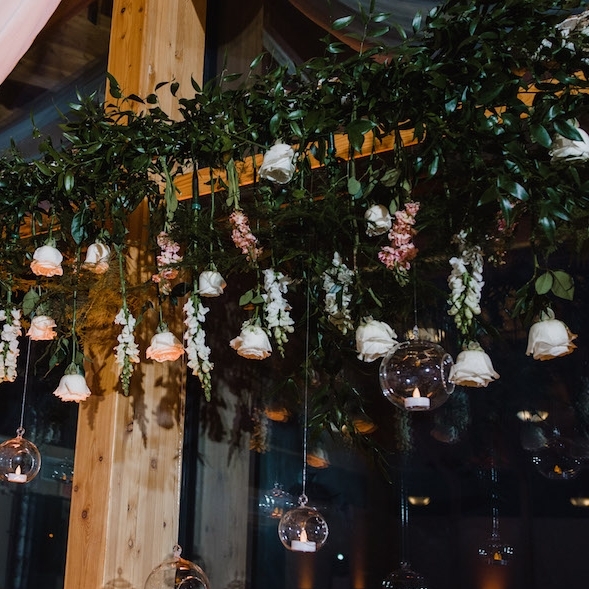 Emily from Feast & Festivities came up with the idea to create a winter ceremony backdrop out of firewood. It was gorgeous! Whether it's a hot chocolate bar where your guests can choose from fun mix-ins, an espresso cart, or serving hot toddies as your signature cocktail, serving a hot drink during your cocktail hour or as your guests arrive at the ceremony is a lovely way to welcome them to your celebration. Abiding Citizen is my favourite craft beverage company; their shrubs, bitters, and syrups are perfect. For this tablescape designed by Host Winnipeg, we used a gorgeous blanket as the table covering. The texture added warmth softness, which is just what you want in winter. Thick linen tablecloths would also be great! Some of my favourite wedding favours have been Ferrero Rocher chocolates or individually packaged macarons, but the idea of a fresh bundle of herbs waiting for your guests is beautiful. The fragrance alone would be intoxicating, and your guests could take these home for cooing savoury soups and stews, or throw them into their fireplace for a cozy night in. Mood lighting is the best way to create the right atmosphere for your winter wedding. Whether that means soft candlelight for an elegant evening or cafe lighting for a celebratory fˆ´te, lighting will accomplish the right look. One of my December brides once told me that she wanted her wedding to look the way it feels when you look up at the dark, starry sky through the bare branches. I thought this was so beautiful. But, rather than using branches everywhere, we chose greenery! I used a lot of feather eucalyptus, which has skinny, feathery leaves that created that branchy feeling. Greenery bouquets marking the aisle, tall arrangements of evergreens, suspended greenery installations - any of these would be beautiful at a winter wedding. Half the reason you chose a winter wedding date was probably so you could take some outdoor photos. No matter how cold it is, pop outside for a few minutes with your photographer, to grab some of those coveted snow falling, rosy cheeked, chilly aired photos. Warm, savoury soups and rich, luxurious desserts are the way to go! In the winter, we all crave a little extra luxury, so a thick chocolate cake slathered in buttercream or a classic New York style cheesecake is the perfect choice. Oookayyy. You know I love colour. 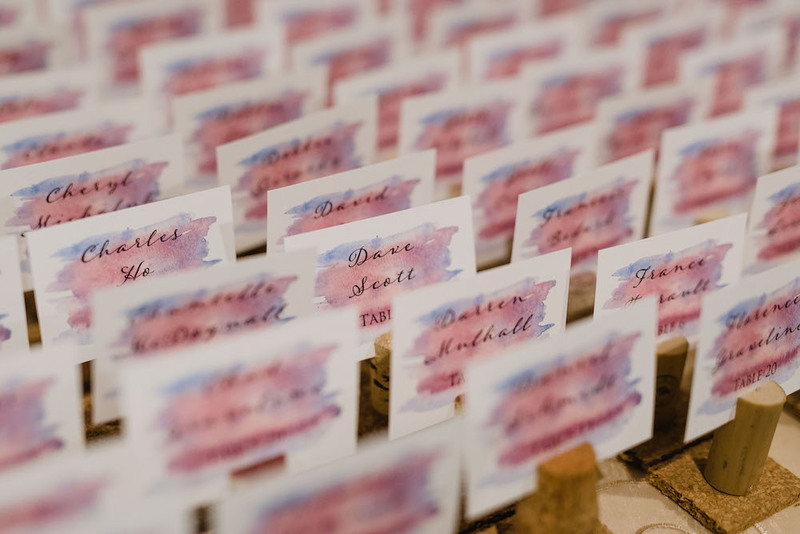 A jewel or berry-toned wedding palette gives me heart palpitations. But this white and copper palette? It's amazing for a neutral-loving bride, totally luxurious, and perfect for a winter wedding. As featured on Host Winnipeg. Floral Ingredients: Peonies, amaryllis, tulips, ginestra, magnolia leaves, copper beach, and israeli ruscus, and navy privet berries. I LOVED using this amaryllis - it's a winter flower, and creates an obvious focal point any time it's used thanks to the large, star-shaped blooms. Aren't they gorgeous? Get the recipe for this spiced ginger and pear cocktail here! 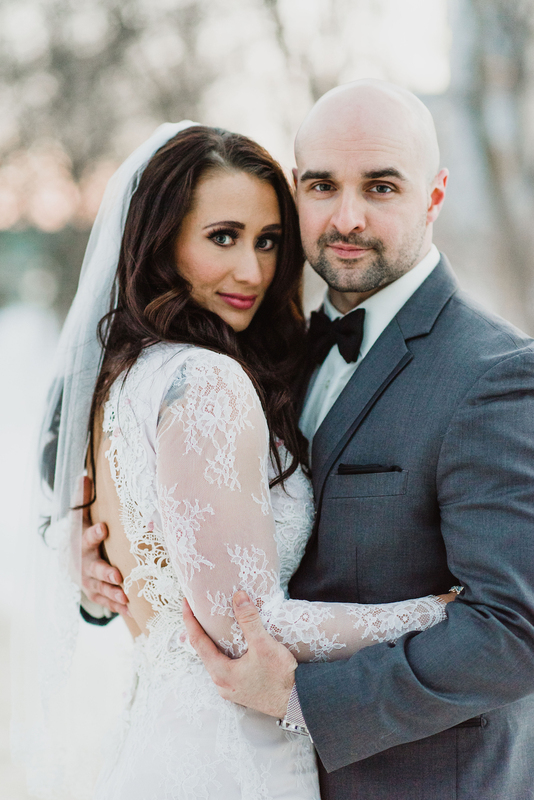 Early in January, Lisa and Andrew got married in a rustic winter-themed wedding. I've actually known Andrew for probably 15 years, through mutual friends and he's always kept me laughing. I met Lisa at a wedding - the two on them happened to be sitting in front of me! I had a great time working with her on the plans for the wedding flowers. She wanted an all-white, textured bouquet with hits of silver and let me take it from there! Her bouquet was composed of hydrangea, stock, spray roses, ranunculus, wax flower, silver seeded eucalyptus, and dusty miller. Thank you to Izabela, at Rachwal Photography for the lovely photos! She always takes such beautiful photos of flowers. The last three weeks have been very exciting for Stone House! I completed my first three weddings in back to back weekends, each of which was totally beautiful in its own right but also completely different from the last. From a stunning white, green and gold evening at the Manitoba Club, to a candlelit reception at the Fort Garry Club with a lot of very chilly Southerners in attendance, to an all-white winter wedding in the country, it's been a great month. I'm looking forward to sharing more, but here is a quick shot of Stephanie's bridal bouquet from the lovely Kat Willson Photography. This entire day was just lovely (and frigid) and I can't wait to see the film captured of the beautiful bride!